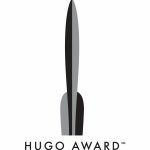 The deadline for eligibility to nominate works for the 2018 Hugo Awards is December 31, 2017. Anyone who wishes to nominate for the 2018 Hugos must have a supporting or attending membership to Worldcon 75 in Helsinki, Worldcon 76 in San Jose, or Worldcon 77 in Dublin by that date. This reflects a change in World Science Fiction Society (WSFS) rules which moved the eligibility deadline from January 31 of the award year to December 31 of the previous calendar year. The actual nomination period will begin in January 2018.